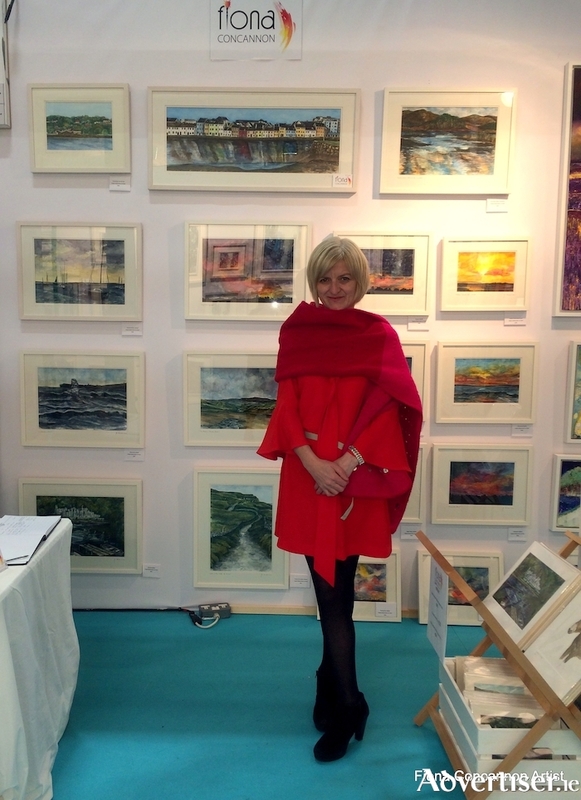 Advertiser.ie - Artist Fiona Concannon to hit this years Christmas market! Artist Fiona Concannon to hit this years Christmas market! FIONA CONCANNON, a professional artist from Spiddal, Is currently working on a series of Watercolour Paintings which capture the beauty of the West of Ireland. 2017 has been a very busy year for Fiona, she exhibited in Trafalgar Square as part of the London St. Patrick's Day Festival, took part in the 'House' and 'Art Source' events in the RDS, was involved in numerous art and craft fairs, has a painting for auction in aid of MADRA, which takes place in the Portershed on Deccember 9, and is about to show and sell her work in the Christmas Market, Eyre Square, which is part of the 'Made in Galway' initiative. Fiona will be in Stall 38, on the Skeffington Road, where she will have a vast selection of her Original Paintings, as well as the more affordable option of Limited Edition Giclée Prints and Greeting Cards for sale. You will find images of 'The Long Walk', Galway Cathedral, Kylemore Abbey, various images of Wildlife of the Wild Atlantic Way, and a variety of landscapes and skyscapes. Colour has always been Fiona's passion, and this is evident in her work. Fran McCann is Almost There!